Discover fast facts about Kazakhstan adoption plus find links to helpful resources and adoption agencies placing children from Kazakhstan in your state. In August 2012, Kazakhstan announced that it was suspending all intercountry adoptions to the United States. The country continues to work on authorizing U.S. adoption service providers to meet the requirements of the Hague Adoption Convention. Many of the children eligible for adoption in Kazakhstan have special needs. For up-to-date information, visit the Kazakhstan Adoption page on the U.S. State Department’s website. 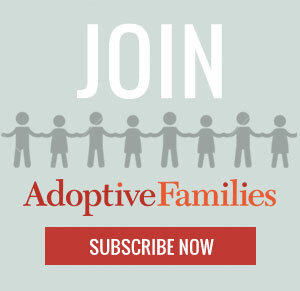 Get parent-to-parent advice and support in the Kazakhstan Adoptive Families group in our online community, AdoptiveFamiliesCircle. Profile of Children: 59% of children are between one and four years old. 56% are girls (2011). The child must consent to adoption if he or she is 10 years or older. Parents’ Ages: The age difference between the parents and the child must be at least 16 years and not more than 45 years. Family Requirements: A couple must be legally married. Gay and lesbian couples and single fathers cannot adopt. Travel: Be prepared to travel to Kazakhstan at least once, for a four week bonding period at the child’s place of residence. Kazakh Aul of the United States: Nonprofit organization dedicated to meeting the cultural needs of American families with children from Kazakhstan.